In this article, you’ll learn everything you need to know about cheap vs expensive electric guitars. This comprehensive guide will break down all of the differences between cheap and expensive guitars to help you decide on a guitar that truly fits your needs as a player. Are Expensive Guitars Easier to Play? So, the price of an electric guitar can obviously vary drastically. Some guitars cost as little as $150 while others cost over $3,000. But what separates a cheap guitar from an expensive guitar? Well, in short, the main differences between cheap and expensive electric guitars are the construction and workmanship, pickups, hardware, and aesthetics. The top of the line guitars from major brands such as Fender, Gibson, and PRS are all handcrafted in America. Their build quality and attention to detail are the best of the best. However, the cost of skilled labor in the United States is very high, which drives up the price significantly. Cheaper guitars are mass produced overseas in factories in China, Indonesia, and Korea where the cost of labor is much cheaper. This allows them to lower the price at the cost of quality. Since cheaper guitars don’t have nearly the amount of time and attention to detail, it is very common for there to be some quality control issues with the lower end guitars. This could include rough fret edges, imperfections in the finish, loose knobs and hardware, faulty wiring with the electronics and more. That’s not to say these issues can’t happen with higher end guitars as well. It’s just not nearly as common because the expensive guitars are usually hand tested and set up by a professional before it makes it to you. When you purchase an expensive guitar, there is a clear difference in workmanship. Your fret edges will be completely smooth and filed perfectly. The finish will be completely pristine as if it’s a piece of art, considering you’re not buying a used guitar of course. Expensive guitars will typically use premium pickups. Companies like Gibson and PRS have their own American made pickups. Other guitar manufacturers will use high-quality pickups from established bands such as DiMarzio, Seymour Duncan, or EMG. Guitar pickups have a huge impact on your tone, so this is an area where you don’t want to skimp out. Budget guitars will have generic pickups that are made in-house from the overseas factories. These pickups are usually designed to be copies of the “premium pickups,” but mass produced overseas using cheaper parts. If you want to make your cheap guitar sound like an expensive guitar, then the absolute best thing you can do is swap out your guitar pickups to higher quality ones. It is a fairly cheap process and can make a $500 guitar sound like a $1,500 guitar. However, one thing to note is that you should NOT invest in a very expensive guitar if you think it will just make you sound better outright. The fact of the matter is that 95% percent of people won’t even be able to distinguish the sound of a $500 vs a $3,000 guitar. And if you’re playing a show with a band playing in the background or recording your guitar in a full mix, forget about. No one will be able to tell if you’re using an Epiphone Les Paul or a Gibson Les Paul. 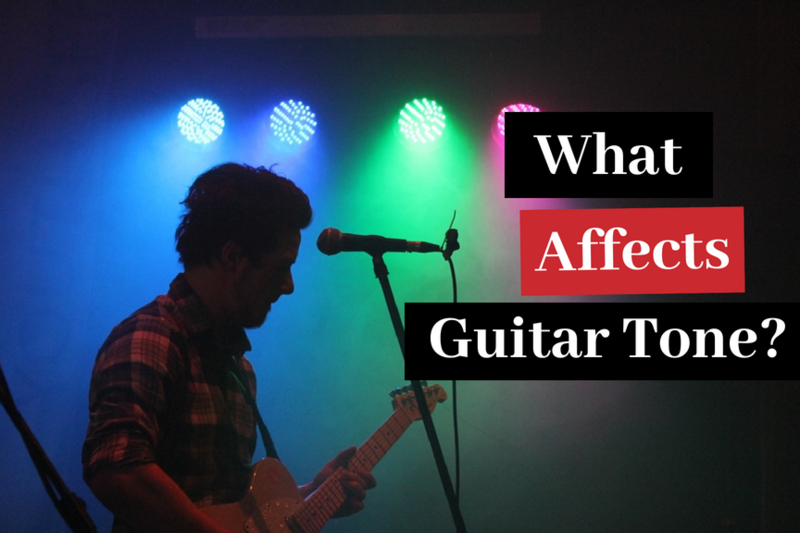 Though most people won’t really be able to tell the difference, expensive guitars typically use higher quality hardware, including knobs, pickup selector switches, bridges, nuts, and tuners. These will usually be made of more durable metal such as brass or steel, which allows them to perform and last longer than cheaper materials. Inexpensive guitars will usually cut costs by using cheaper materials mass produced overseas and designed to copy the original designs. While most people won’t really be able to tell the difference between things like the knobs and selector switches, and bridges in most cases, there are some scenarios where higher quality hardware makes a huge difference. One example would be the nut. Expensive guitars typically use nuts made out of bone or graphite. This is important because the strings rest on the nut to keep them in place when you’re tuning your guitar. Having a high-quality nut that is filed properly and doesn’t wear out is essential for tuning stability. On the other hand, cheaper guitars usually use nuts made out of plastic, which is terrible for tuning stability. If you have a guitar that won’t stay in tune, the nut is the first thing you should look to replace. On every budget guitar I buy, I always swap out the stock nut with a GraphTech nut from Amazon. It’s basically a no brainer since they’re so cheap. Just make sure you get one that is compatible with your specific style of guitar. Another example where having better hardware actually makes a difference is if it’s a guitar with a Floyd Rose style floating tremolo. Floating tremolos can be very finicky and pain to set up properly. If you have an expensive guitar, it will have the real deal Floyd Rose tremolo, which is very stable when set up properly. Cheaper guitars will usually use Floyd Rose style copies that simply don’t work at all from my personal experience. I can’t begin to tell you how frustrating it is to work with a cheap Floyd Rose copy. They are impossible to set up properly and even when they are, they completely go out of tune the second you try using the tremolo arm (which is obviously the point). If you want a guitar with a floating tremolo to do some whammy bar tricks or dive bombs, you should definitely avoid the cheaper guitar models. 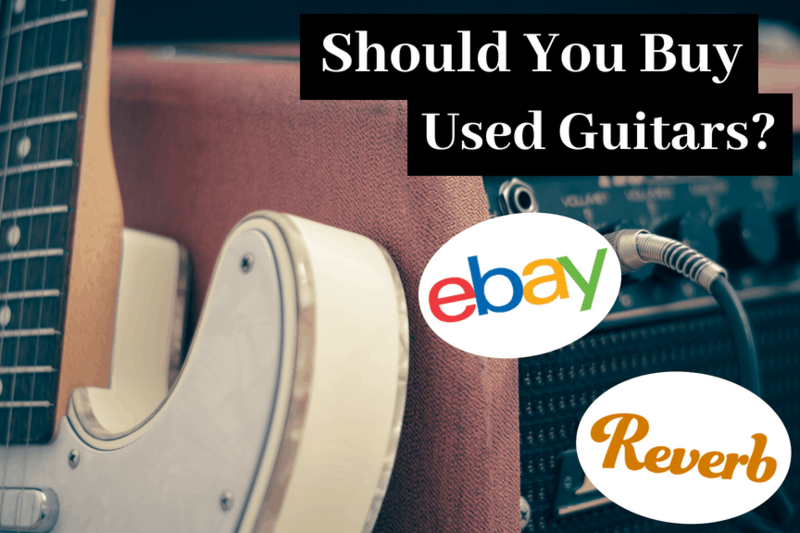 A guitar’s appearance usually has a huge impact on the price. Expensive guitars usually have immaculate finishes with no blemishes. This is an area where manufacturers pay a lot of attention to fine details. Often times, guitars will have thick maple caps on the body that not only make the guitar look amazing, but also influences the sound. Cheaper electric guitars, while still look great, are more prone to have blemishes and imperfections. Many companies, like PRS, will reserve the best-looking woods for their premium guitars and the leave woods with imperfects to be used on the cheaper guitars. They’ll even rate the woods and brand them as such. PRS calls guitars with the best-looking wood a “10-top” and charges significantly more for one even if it is the exact same model of guitar. A PRS Custom 24 “10-Top” can cost hundreds of dollars more than a regular PRS Custom 24, despite the fact that they are objectively identical in terms of specifications and performance. In addition, to cut costs, you’ll hardly ever see a thick maple cap on a budget guitar, but rather a thin maple veneer. This is meant to replicate the look of a maple top while keeping the price down. 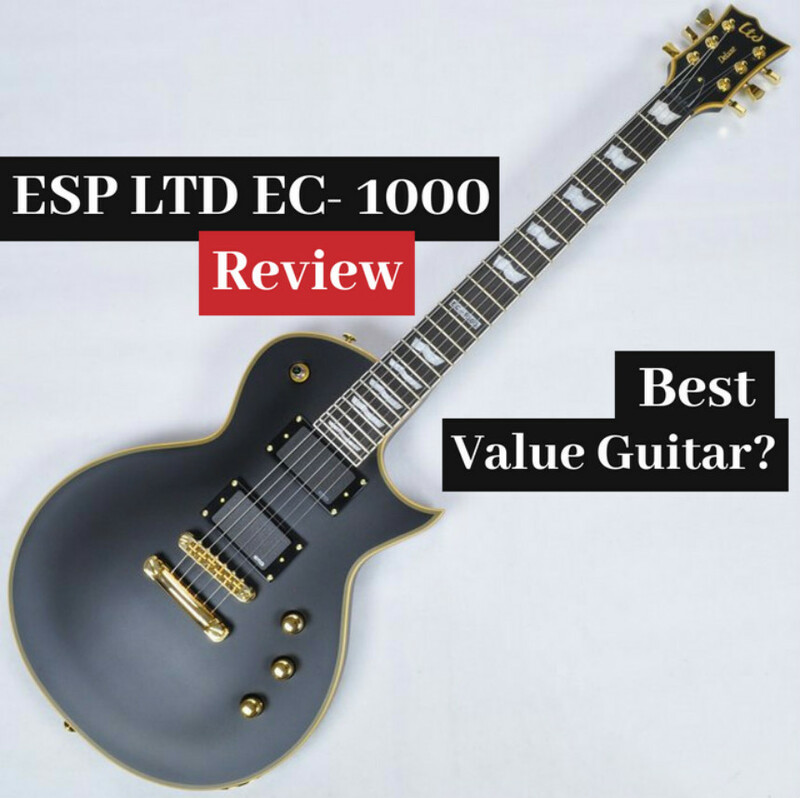 With all that said and done, do the differences in features between cheap and expensive electric guitars actually justify such dramatic price differences? Well, the answer is a resounding, no. You could take a cheap guitar and upgrade it to have all of the specifications of an expensive guitar and it would still only cost a fraction of the price. The main factors that make a guitar expensive are branding, cost of labor to produce and the quality of materials. One major reason guitar manufacturers are able to charge so much for their guitars is simply due to brand reputation. Think about it. Everybody knows what a Gibson Les Paul or a Fender Stratocaster is. Even if they don’t know the first thing about the guitars. Heck, even my grandmother would recognize a Gibson Les Paul. Since these companies are proven brands that have been around since the the 1950’s, people know and trust them. This makes them more desirable. As a result, these companies are allowed to charge a premium because people are still willing to buy them; even if they aren’t necessarily a superior product. It’s similar to how Apple can charge significantly more for their products than any other company can for a similar product. In addition, these larger brands also work directly with famous artists, often creating signature guitars that are custom for them. Due to the influence and popularity have, it allows them to increase the price even more. Guitar companies even sell full lines of signature series guitars to people can play the same instruments as their favorite musicians. Signature series guitars can cost hundreds or, in some cases, thousands more than a regular production line guitar. The largest contributing factor to why guitars are so expensive is the cost of labor. The higher end expensive guitars are usually made in America, where the cost of labor is extremely high. As a result, companies will naturally need to raise the price of the guitars in order to make a profit. Does this higher cost of labor always mean that the quality is superior? Not necessarily. But there is definitely more attention to detail when you’re creating one guitar at a time by hand compared to hundreds at a time in a factory. In addition, American labor is usually more skilled when it comes to creating a guitar, simply because we’ve been doing it for longer, and the process is proven. For the lower end guitars, companies have production done overseas in countries like China, Indonesia, and South Korea. Since the cost of labor in these countries is significantly lower than that of the United States, it allows them to mass produce these guitars in large quantities at a fraction of the price. As a result, they can charge much less to the end consumer. Now again, does cheaper labor result in an inferior product? Not necessarily, but when you also factor in that there inconsistent quality control across large quantity of guitars, it can make a difference. Another reason why guitars can get so expensive is simply due to the quality of materials used to create it including the wood, hardware, and electronics. Since many of the major brands like PRS, Gibson, and Fender make affordable guitars in addition to their core lineup, you can bet that they reserve the absolute best woods for their main guitars. For example, PRS literally rates the woods and gives them a score out of ten. If the wood is a perfect 10, then they will sell it as a “10-Top” and charge more for it. 10-Tops are obviously reserved for their core series of guitars. You will never find a 10-Top on one of their budget guitars from the PRS SE , PRS S2, or even the PRS CE line of guitars. With regards to hardware and electronics, the high quality engineered materials go to the expensive guitars and the cheap guitars get the copies of the original that are mass produced overseas to cut costs. 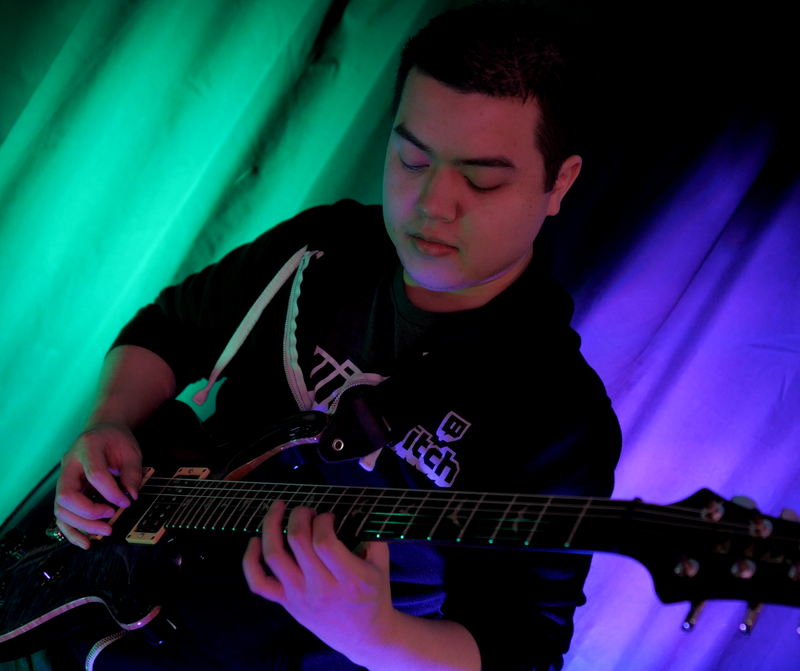 Their thought process is that if they just invest in a really expensive guitar right from the beginning, it’ll be easier for them in terms of practicing and learning. However, expensive guitars are not inherently easier to play. 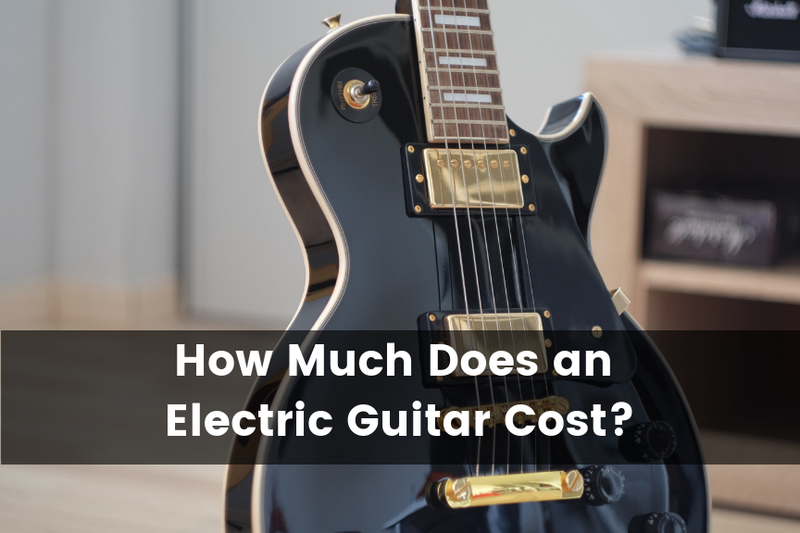 There are many other factors that affect how easy a guitar is to play, such as string action, string gauge, neck profile, body shape and weight that have absolutely nothing to do with how much a guitar costs. One thing I will mention, however, is that the expensive electric guitars are usually a lot easier to set up properly, which could affect a guitar’s playability. Check out my guide that breaks down everything you need to know about a professional guitar setup. String Action – Setting your guitar’s action lower will make it so there is less distance between the string and fretboard. This makes is a lot easier to press down the frets because it will require much less force from your fingers. String Gauge – Switching to lighter gauge strings will make it a lot easier press down on the frets as well as perform bends. This is because the strings are thinner and exert a lot less tension on the fretboard. Here is a helpful guide that explains string gauge in more detail as well as how to choose the right electric guitar strings. Neck Profile – Choosing a guitar with a thinner neck with great accessibility, such as an Ibanez will be a lot easier to maneuver around than a thick and chunky neck from that of a Les Paul. Body Shape and Weight – If you want something that’s really easy to play, then opt for a lighter guitar with an ergonomic shape, such as a Sterling by Music Man JP60. This guitar is significantly easier to play than a Gibson Les Paul even though it costs about a fifth of the price. Check out this post that breaks down the significance of a guitar’s weight as well as provides multiple examples of different guitars and how much they weigh. So, now it’s time for the big question. Are expensive guitars actually worth it? Should you go out and drop $3,500 for a PRS Custom 24 or would you be better off spending $750 on a PRS SE Custom 24? In short, for most people expensive guitars are not worth the extra money. Unless you have a ton of disposable income and money is not a factor, you would be much better off buying a cheaper guitar and using the extra savings to invest in a nice amplifier, recording equipment, and software. The main reason for this is that after you spend a certain amount on a guitar, you’ll start to see huge diminishing returns. For example, there is a HUGE quality difference between a guitar that costs $150 compared to a guitar that costs $500. This would include better build quality, electronics, playability, durability, features, and just about everything else. 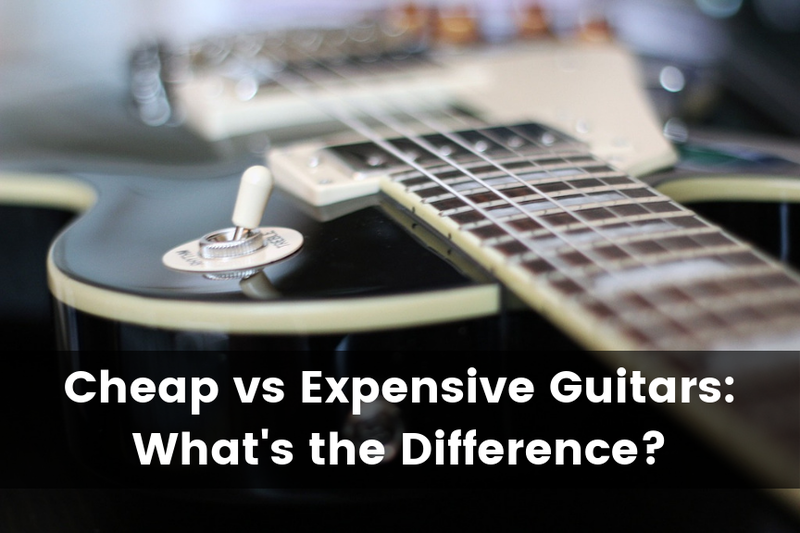 There is a fairly big difference between a guitar that costs $500 vs a guitar that costs $800. This would mainly be a difference in build quality and features, but the difference is not nearly as big. Once you start spending more than $800-$1000, then the gap becomes far smaller. A guitar that costs $800 will typically offer about 90% of what a guitar that costs $3,200. Sure the expensive guitar will be objectively superior in every way, but only marginally. Certainly not enough to justify spending 4 times the price on a guitar that’s only 10% better. Most people wouldn’t even be able to tell the difference when they’re playing, especially if you’re a beginner. Even experienced players would have a difficult time distinguishing the difference in sound and feel alone. And if you’re playing guitar with a band or recording in a mix, then forget about it. If you don’t believe me, here is a video of Rob Chapman doing a blind test of 4 similar guitars from the same company in completely different price ranges. You’d be surprised how difficult it is to tell the difference. However, with all that said if you do have the extra cash and can afford a nicer guitar, you certainly wouldn’t be disappointed. The main advantage to having the best of the best is that you’ll never need to worry about upgrading. Many players fall in the trap of getting a less expensive guitar and then wanting to upgrade to a better version after only a few months. Either that or they build up a collection of 6 or 7 budget guitars when they would have just been better off investing a little more up front for the one expensive guitar that they really wanted that will last them forever. I hope you found this comprehensive guide helpful. The next time you’re in the market for a new guitar be sure to weigh the differences between cheap and expensive guitars to determine which is the right fit for you.